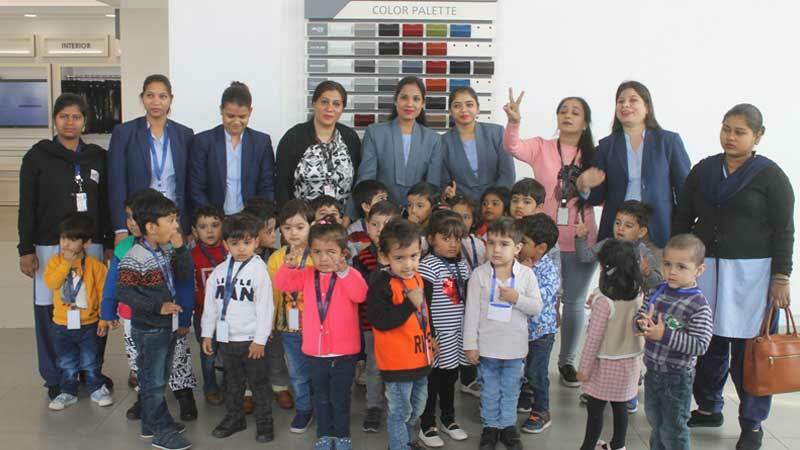 Toddlers of MRIS-21C, Faridabad have been learning a lot about transport as a part of the theme ‘On the Move’. 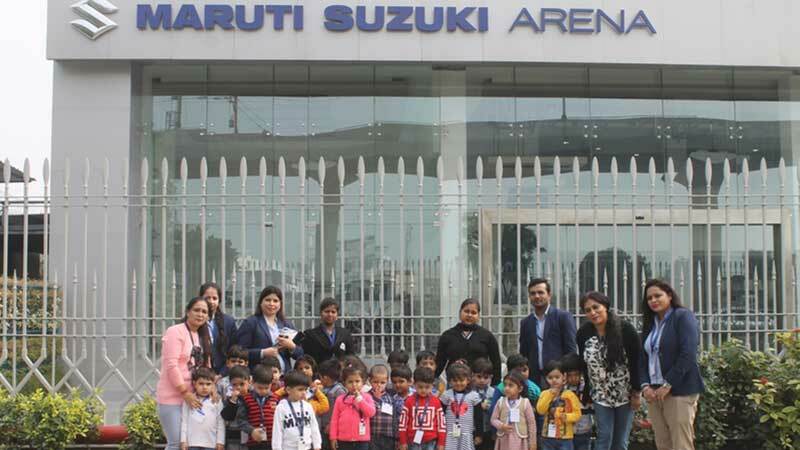 In order to extend the learning further, Toddlers from MRIS-21C visited the Maruti Suzuki Showroom and Service Station. It was an enriching and fun learning experience for our little ones as they watched various activities, such as how an engine is assembled or how a wheel is changed. They also witnessed a car washing session and were explained how we can take care of our vehicles. The children were also shown different tools used for repairing the machinery of the car such as socket, pliers, torque wrench etc. It was heartening to see the hospitality and care that the staff extended towards our little ones as well as teachers. Our little ones were elated and came back with enduring memories.